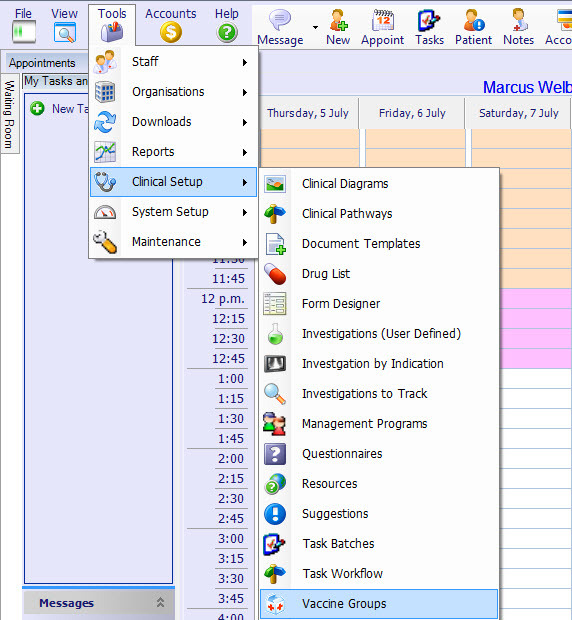 Open the Vaccine Group Editor by clicking on Tools >> Clinical Setup >> Vaccine Groups. Note: Vaccine Group Editor and Task Batch Editor are very similar. – Click the “+” to view items attached to each vaccine group. – Click on the grey box to start new group or task. – Each vaccine group could contain one or more vaccines. Open a patient’s clinical notes. In the bottom section of the window, go to the immunisations tab. To use one of your batches, select the batch code/name from the menu on the left. 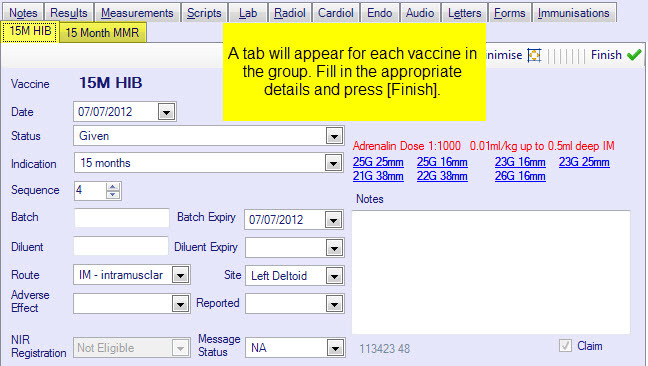 A separate tab will open for each vaccine in the group. Fill in the appropriate details for each immunisation, and press [Finish] to save.